Virat Kohli has been rested from the ongoing Asia cup after a long and physically exhausting England tour, Understandably to manage his workload. Few fans might be worried that India will miss the services of their batting spearhead but, for these players, it's a golden opportunity as they try to cement their place in the Indian squad ahead of the 2019 World Cup. Talented, naturally gifted, player for the future are the phrases attached to Rahul from the day he made his debut way back in 2014. But, one should wonder how long it will take for him to become a permanent member in the team, except in T20s he is yet to cement his place in the other two formats of the game. One might argue that he hardly got good run of games in ODIs but such is the competition in the current Indian team that one should make the most of the limited chances they get. Rahul will cherish the fact that he will be India's No.3 throughout the Asia cup and probably this is his last chance to cement his place. Rayudu's career is a roller coaster ride. He was part of the ICL and then came back to competitive cricket through IPL, thanks to his consistent performances for Mumbai Indians he was selected for Indian team and to be honest, he made the most of it. He scored more than 1000 runs at a stunning average of 50.24 but still, he found himself out of the team due to injuries and a small dip in form. When everything looked over for him he again bounced back with his performances for CSK and looked all set to take the middle order position for India. Unfortunately, he missed the flight to England after failing the much debated YO-YO test. He has cleared it now, can he raid higher at least this time or fall forever? Not so attractive to watch but effective. He is not a crowd's favourite but always useful contributor with both bat and ball. 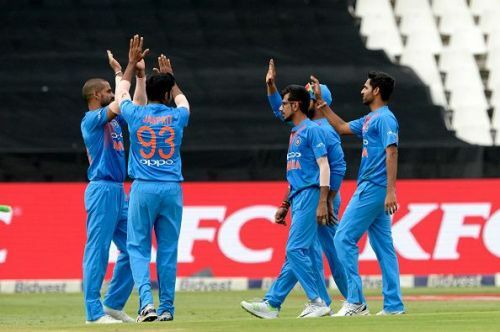 One must say Kedar entered the international arena at the right time, when your fifth bowler is Hardik Pandya who doesn't give you 10 overs in most days and almost no top order batsmen can roll their arm over for few overs, Kedar gets into this team straightaway because of his street-smart techniques with the ball. But he himself knows that if he wants to stay in the team he has to perform with the bat. And most likely this is his last chance to prove his worth as in form players like Manish Pandey and Dinesh Karthik are waiting.